When designing the interior space for any new office or commercial space, there are few products that look as good and are as easy to install as Norstone natural stone wall tiles. While stacked stone finishes are part of their impressive portfolio, the modern beauty of Norstone’s basalt tile collection is irresistible. As the world’s only medium-format lava stone cladding system, any ordinary space can quickly be made into an unforgettable one. Whether you are looking for the perfect material to complete the exterior of your office or commercial space, or simply a stunning accent wall or fireplace in your own home, Kafka Granite is the Midwest’s exclusive distributor of Norstone products. Lynia interlocking tiles and Aksent 3D panels are crafted to bring a truly natural yet contemporary aesthetic to your next project. 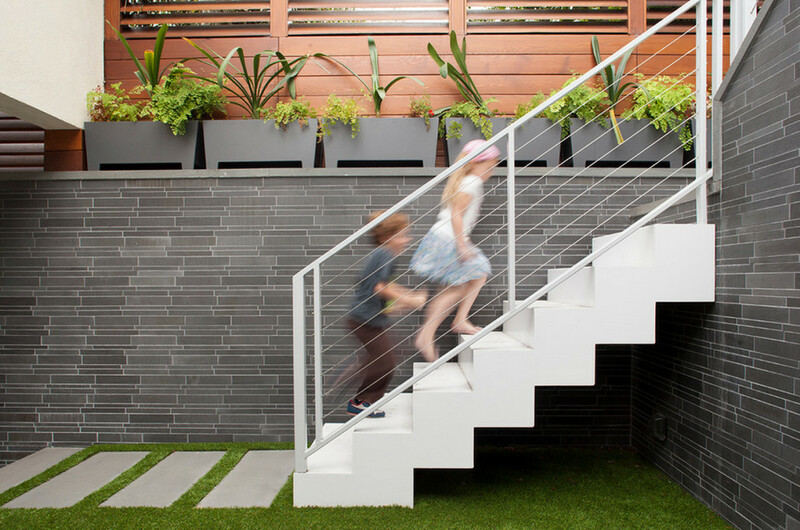 When seeking a modern natural stone solution that can be used both indoors and outdoors, basalt tiles could be your answer. Kafka is always seeking opportunities to bring you the best materials for the job. Just as we stand behind our broad variety of aggregate, we fully trust in the unquestionable quality and beauty of Norstone products, which is why we offer them to you. With two basalt tile options, you are guaranteed a natural wall cladding solution that offers a cleaner, more modern touch than Norstone’s more rugged rock panels. Lynia interlocking tiles start as large slabs of cooled basaltic lava rock, the most common type of volcanic rock type. Once ready, these slabs are cut and honed into individual basalt strips that range in height. The assorted heights add a pleasing visual variety instead of bland uniformity when fully assembled. Once honed, the precision-engineered strips are then mesh mounted. Nine staggered strips, including spaces for grout, are included on each mesh-mounted unit. Lynia IL Tiles are available in Ash Grey and its darker counterpart, Ebony. Ideal for modern atmospheres, these shades of grey can add a timeless design no matter where applied. These tiles can be used indoors or in the elements, as they’re durable enough for whatever the outdoors throws at them. Consider cladding feature walls, backsplashes, water features, fireplaces, service counter fronts or business signs to add a unique and sleek aesthetic. 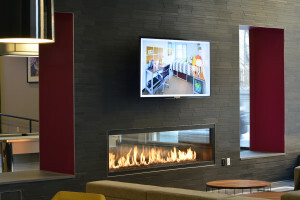 Popular commercial applications include hotels, restaurants, office buildings and casinos—wherever a professional and contemporary design is desired. Norstone’s 3D panels are a truly one-of-a-kind stone veneer. Similar to Lynia IL Tiles, each tile originates from a slab of cooled basaltic lava, but each is cut and honed at varying thicknesses. When mounted together on a sheet, the varying thicknesses of basalt tiles create a three-dimensional look that adds another level of depth and visual appeal. 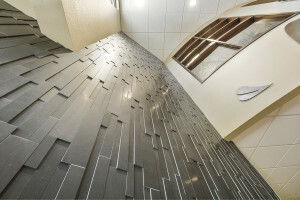 Additionally, Aksent 3D tiles offer a “stepped” interlocking edge profile. This means that these panels are designed so that each unit tightly interlocks into its neighboring panels in a seamless design. There are no grout gaps to fuss with and no vertical seams to stress about. The clean, seamless look will leave you (and all who see it) in awe. Aksent 3D panels are also available in the same contemporary colors as the interlocking panels; Ash Grey and Ebony. Popular in office lobbies, exterior facades, pools, spas, water features and fountains, retail areas and more. When craving a contemporary and natural solution, look no further than the depth and variety of 3D panels. You don’t have to go broke for beauty. 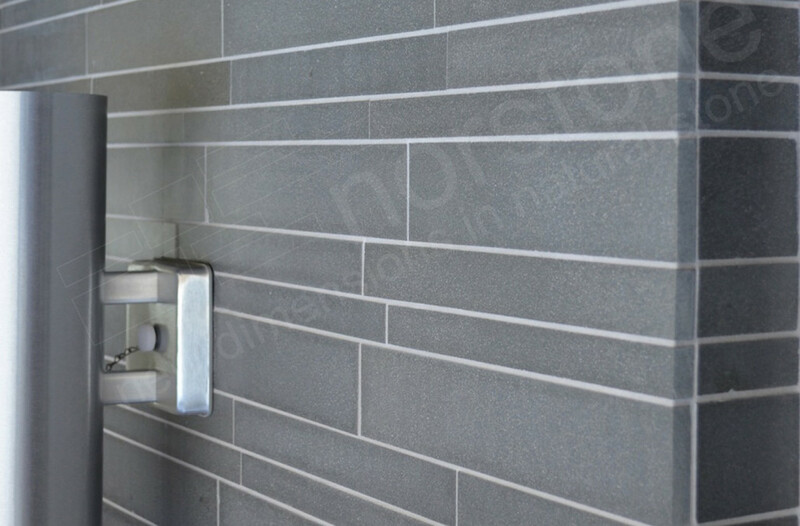 Norstone Basalt tile options will save you significant time and money when it comes to installation. The precision by which these tiles are engineered and pre-mounted render installation a quick and painless process. **Don’t use mastics as they aren’t suitable for the rock panel collection. Basalt tiles can be installed on cementitious surfaces, such as cement board, brick or block, or over a traditional lathe and scratch coat. Do not install these products over drywall or sheetrock. Since stone wall cladding is relatively heavy, ensure your wall or surface is able to withstand and support the weight of the product. Before laying each panel, apply a generous amount of thinset to the surface and to the back of each tile unit. Notch the thinset on the wall as you would if you were installing a tile backsplash or wall. When placing each tile unit, make sure you press it firmly into place while rotating the unit just a little. Norstone Basalt tiles are designed to easily interlock with neighboring units, so be sure to follow the installation pattern of your product. When necessary, cut panels to size using your tile saw. During this step, ensure to remove any thinset that may get onto the face of the tiles before it hardens. If you choose Aksent 3D panels, the interlocking edges and 3D aspect don’t require grout. However, Lynia IL tiles require the application on unsanded grout once the panels have fully set. Once you’ve grouted your Lynia IL tile feature, wait for that to fully set before moving onto the next step. The final step to completing your gorgeous and contemporary basalt stone veneer wall is cleaning and sealing its surface. Sealed stone is easier to clean and maintain, which makes everyone’s life easier in the long run. Choose a sealer appropriate for the environment—indoors or outdoors, humid or dry—and follow the manufacturer’s instructions on the packaging. Before applying sealer to the whole space, test in an inconspicuous area first. Step 5: Enjoy Your Timeless Design! With the time and money saved on installing Norstone tiles, the final step is to relax and enjoy the fruits of your labor. Your one-of-a-kind basalt application will create a warm and natural aesthetic while feeling modern or edgy. If you have questions about how to get started with your Norstone tile project, whether it’s to create a clean office environment or a modern commercial space, call or message Kafka Granite. We can guide you through choosing the Norstone product best for your project as well as answer any questions you might have about the product or installation. For a clean and modern design, let’s talk today.